A product that can be found over a century ago in the Glasi catalogue. The cup also serves as a lid. 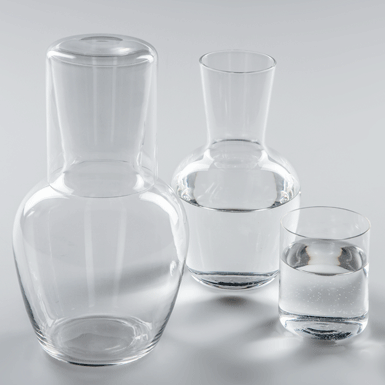 The blown carafes and cups are also available separately.